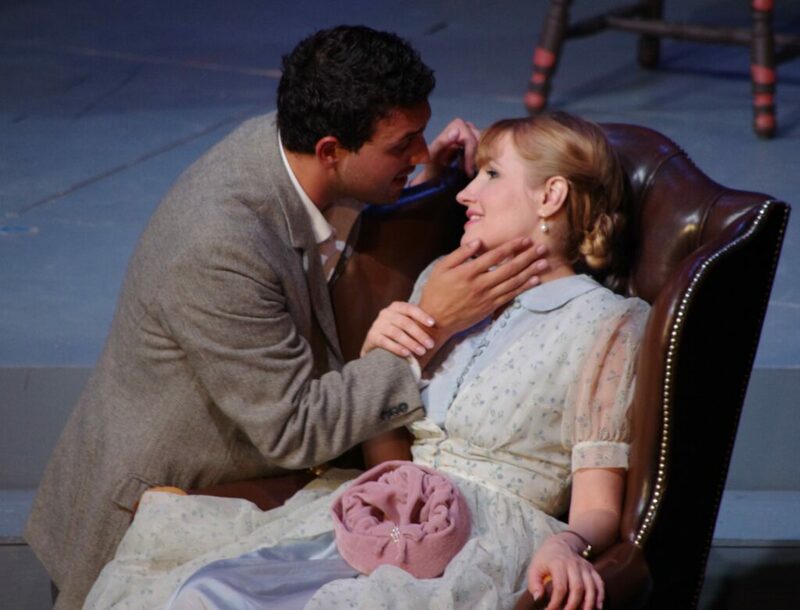 It was with a certain degree of ambivalence that I attended the summer 2018 production of La Bohème at Highlands Opera Studio. I was disappointed when I heard that the choruses in Acts II and III were cut, and I wasn’t particularly looking forward to sitting through yet another Bohème. How wrong I was. With Philip Morehead conducting, the young singers were skillfully led through the nuances of Puccini’s rich score. Janelle Fung’s piano accompaniment was intricate, sensitive, and orchestral. Two alternating casts covered four performances between Aug. 24-27. Both were equally convincing as the young gaggle of Bohemians, and I had to resist the urge to compare and contrast the singers instead of letting each cast be an entity unto itself. Natalya Gennadi was a gorgeous Mimì; not only did she look the part of the consumptive heroine, she allowed her powerful voice to ebb and flow producing gorgeously rich tones in Act I and sweeter, melodic phrases in Act IV. Her Rodolfo, Rocco Rupolo, was a perfect match dramatically and vocally. From his tenderly sung “Che gelida manina,” to his plaintive cries at the end of the opera, Rupolo commanded attention in every scene and was vocally strong throughout. Max Van Wyck was a vocally rich Marcello—his acting and facial expressions were on point. Van Wyck’s and Rupolo’s sensitive vocal phrasing and blending in the duet “O Mimì tu più non torni” was a highlight of Act IV. 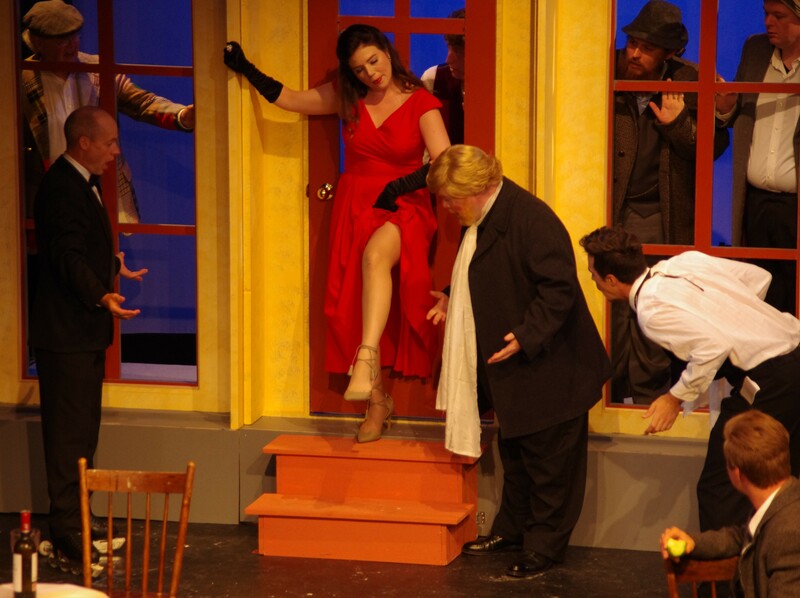 Micah Schroeder was a gregarious Schaunard who enhanced the comedic scenes in the garret. Chelsea Rus sparkled as Musetta and was simply delightful to watch in Act II. Brenden Friesen was an excellent Colline in both casts—his “Coat Aria” showcased a powerful and sonorous bass tone. He also has a commanding stage presence making him a singer to watch in the future. The second cast was equally convincing. Shantelle Przybylo’s lush and soaring Mimì was the perfect foil for Sebastian Haboczki’s lyric and sweetly emotive Rodolfo. Przybylo and Haboczki were a powerful dramatic duo who left the audience in tears. Bruno Roy’s Marcello and Leanne Kaufmann’s Musetta produced vocal fireworks in the finale of Act III, and the pair were adept at conveying all the complex levels of their fiery onstage relationship. David Diston was a vocally impressive Schaunard whose skilled acting—which could turn on a dime from tragic to hysterically funny—was central to the realistic garret scenes. Director Valerie Kuinka’s keen eye for detail and her ability to get the best out of her singers vocally and dramatically was evident throughout. Her inclusion of figure skater Kurt Browning as the Mâitre D’ in the Café Momus scene was nothing short of brilliant and resulted in a standing ovation at the intermission of every performance. Browning’s superb comedic timing and his physical grace on stage were delightful. 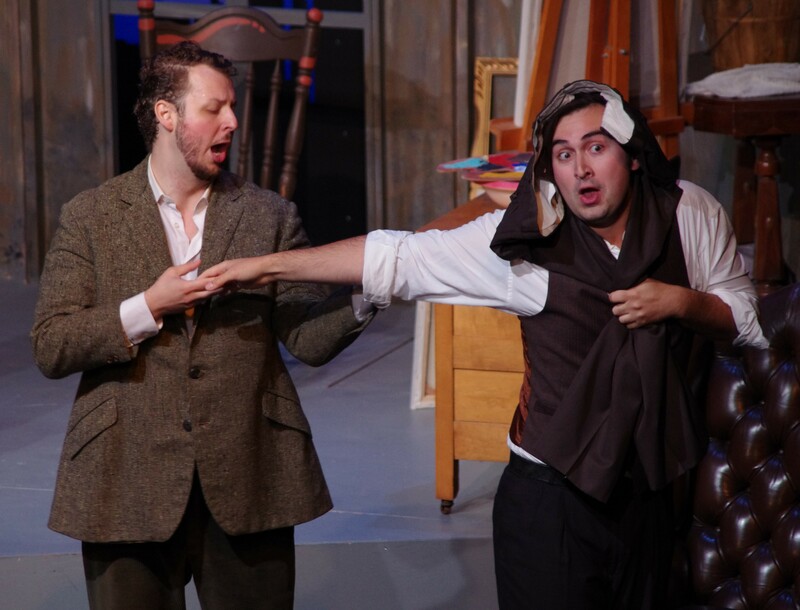 Rather than distracting us from the story, his onstage antics added to Act II’s festive mood. Browning’s choreography was stunning and Kuinka’s use of supernumeraries added to the hilarity and organized chaos of the scene. It was no small feat to put this all together on a small stage, and Kuinka did it with panache. Richard Margison was pure comedic gold as Alcindoro where his repartee with Browning was wonderful. Margison was equally funny as the befuddled landlord Benoit in Act I. The late 1940s era costumes added to the beauty of the young cast. The scenery was simple and effective, but the New York-looking 1940s Parisian skyline was jarring. David Sweeney’s lighting was simple and effective. The audience left each performance feeling like they had experienced the timelessness of Puccini’s poignant and beautiful tale, rather than having survived another performance of an operatic warhorse. 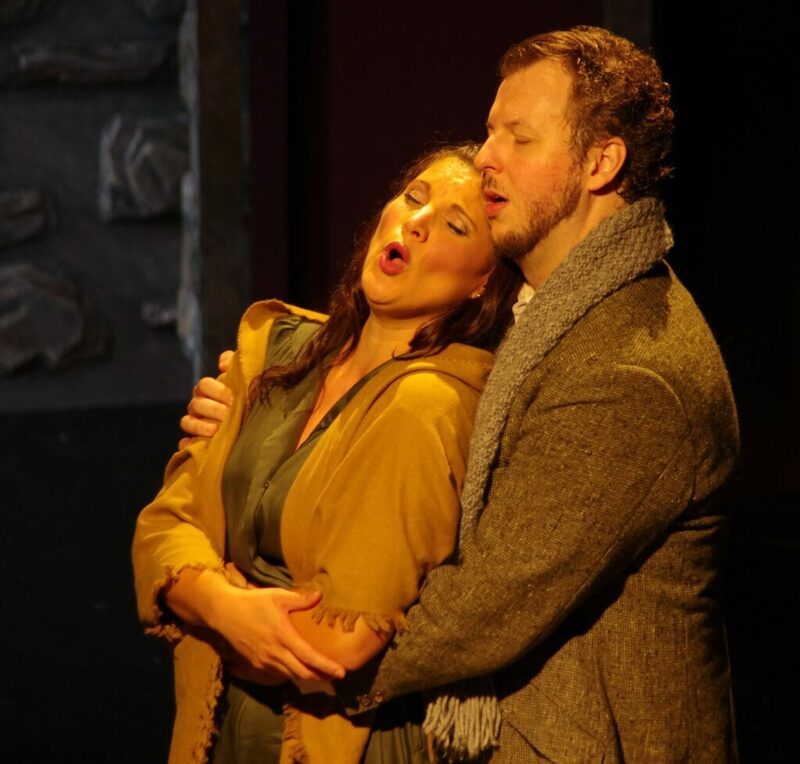 Highlands Opera Studio continues to be an operatic jewel in the rugged Haliburton Highlands.